All you have to do is be ~*friendly*~. Fact: To get paid to travel would be the most ideal scenario of all. Exploring new and exotic places, experiencing different cultures, sampling exciting flavors, and—let's be real here—searching for the cutest pasalubong to bring back home are always among our top reasons for wanting to escape our desks. We may be chained to our nine-to-five while saving up for the next vacay, but our travel expertise doesn’t have to go to waste until then. 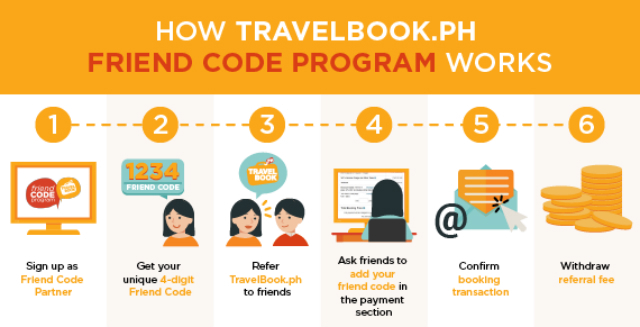 Log on to Friendcode.travelbook.ph and enter a valid email address. Upon registration, you’ll receive a unique friend code. Here's a scenario: Someone posts a status update on Facebook, "Crowdsourcing: Looking for hotel and tour recommendations in El Nido." You may have only ever been to Coron, but being the travel junkie that you are, you know exactly where to go, what to do, and where to eat. 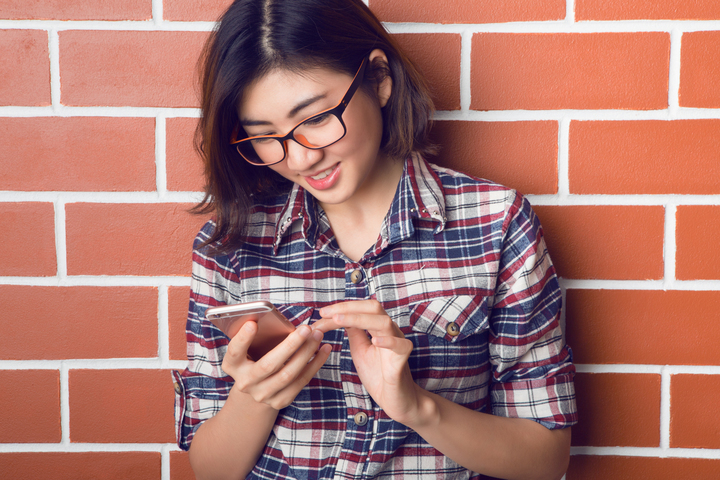 So you hit her up with some really helpful advice and in return, ask her to use your four-digit friend code in booking hotels and tours at Travelbook.ph. From there, all she has to do is enter your friend code upon payment. Or let’s say a friend tells you about an upcoming trip to Baguio over the holidays. You know exactly where to find the yummiest strawberry treats, the coolest OOTD spots, and the best hipster cafes. And using Travelbook.ph, you can help your friend find great deals on accommodations and tours. In exchange for your recommendations and TravelBook.ph’s great deals, you can ask her to use your friend code—it’s a win-win situation! Here’s a tip: Never forget your Friend Code. It’s essential! The more you promote, the more you earn. With over 3,300 hotels and 1,200 tour services nationwide listed at Travelbook.ph, you’ll never run out of travel spots and ideas to recommend to your friends! The good news? 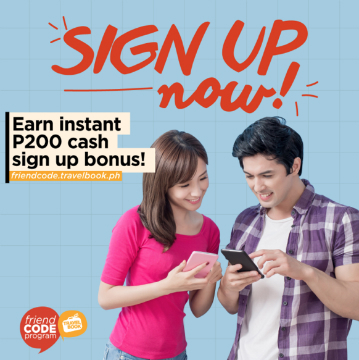 You can withdraw as soon as you accumulate P500 worth of referral fees! In a country with thousands of islands, choosing where to go next can be difficult. You might have accumulated a bunch of info on a number of places without realizing it. So think of it as a way of optimizing your research for an upcoming trip. If that sounds good to you, head over to Friendcode.travelbook.ph and sign up as a Friend Code Partner. Make the most out of your trips and share your travel expertise with friends and family. You’ll be on a plane headed to your next destination in no time. If you’re curious to know more, watch the video to learn more about the program. For more information, visit Travelbook.ph and sign up for the Friend Code Program today. This article was created by Summit Storylabs in partnership with Travelbook.ph.